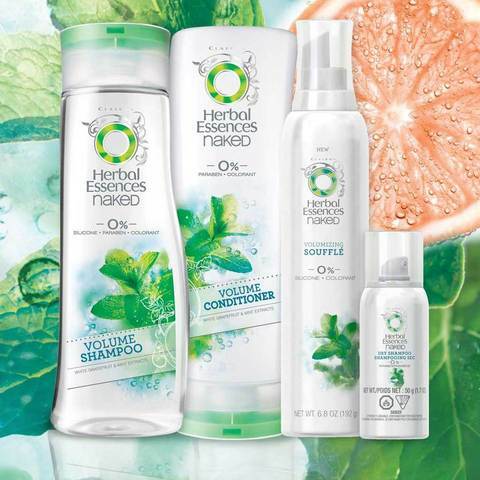 Introducing Herbal Essences new Naked Collection! I love Herbal Essences (the fragrance gets me every time) and I was thrilled when they reached out to me to check out their new Naked Collection. I was provided a Walmart gift card and was able to be the first to order the new collection. Guess what? Walmart sells it as a bundle. Yay! And you canâ€™t beat those Walmart prices! 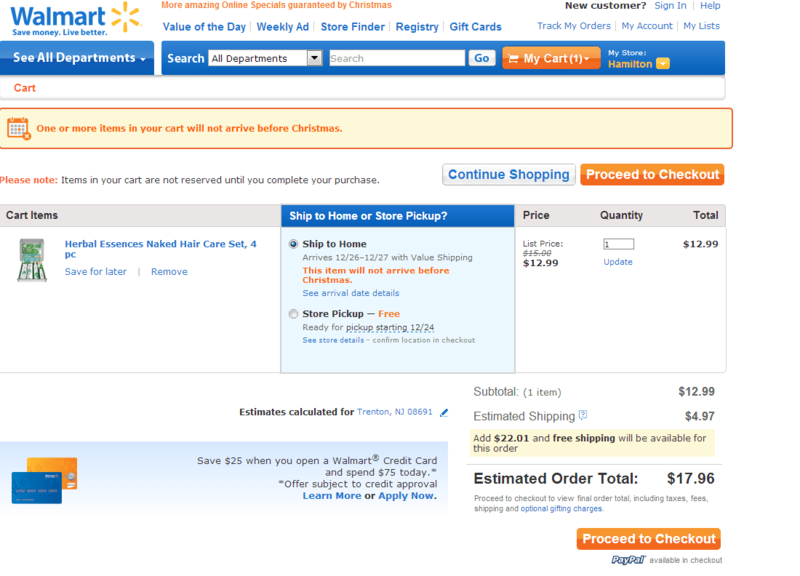 Ordering from the Walmart site was super easy and user friendly. Here are some screenshots I took. The Naked Collection Volume Kit includes Naked Volume Shampoo, Conditioner, Volumizing SoufflÃ© Styler, and Dry Shampoo. – Kit includes Naked Volume Shampoo, Conditioner, Volumizing SoufflÃ©, Flexible Hold Spritzer and Dry Shampoo. 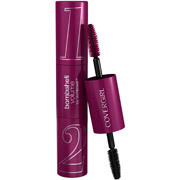 – Get it first atÂ http://www.walmart.com/ip/33006917Â . – Restores hairâ€™s natural body. 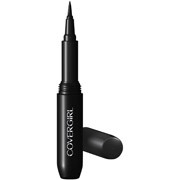 – Great for days when you donâ€™t have time to wash your hair. 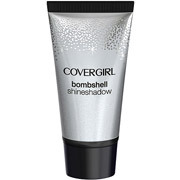 – Refreshes your look for lightweight, clean hair â€” even on days when you donâ€™t wash.
Disclaimer: The thoughts and opinions expressed here are my own. 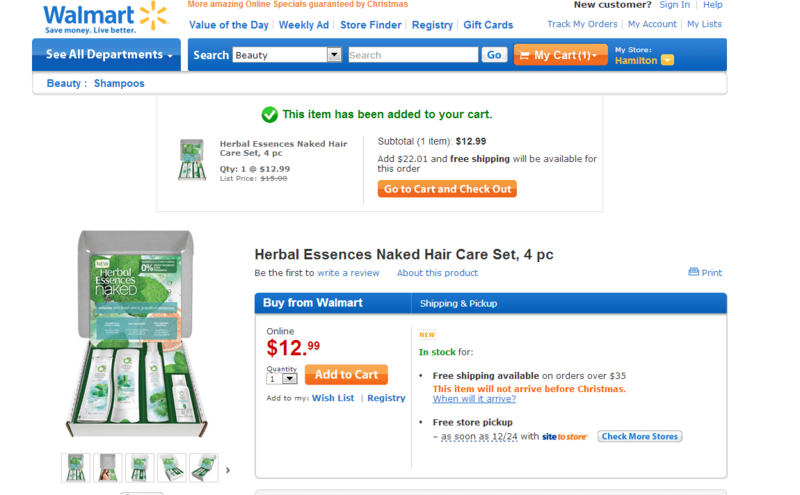 The Walmart gift card and information have been provided by Herbal Essences.